Fabric shrinks when it is washed. This is one of the common facts of fabric quality. How much fabric will shrink is not predictable. As fabric shrinkage varies from one type of fabric to another. Even roll to roll shrinkage variation is found for the same fabric and in the same order (due to lot variation). Woven fabric shrinkage (2-4%) will vary from knits shrinkage (3-8%). Shrinkage of stretchable fabric (10-18%) is higher compared to normal woven fabrics. In this article I will share common practices followed by garment manufacturers to control fabric shrinkage in fabric as well as in garment. To control fabric shrinkage to wash you first need to test fabrics prior to taking any action. Common processes of measuring fabric shrinkage are discussed here. In fabric swatch: 100 X 100 cm fabric swatch is cut and marked length and width wise. Fabric is washed and post wast length and width variation is checked to find fabric shrinkage percentage. In blanket form: Instead of fabric sample a blanket is made with the fabric (3 side closed and one side open). The blanket is washed in washing machine and shrinkage percentages are recorded. Fabric shrinkage are then incorporated to the production patterns. Fabric shrinkage percentage can be measured in testing of fabric swatch but you will get different shrinkage percentage when tested in garment form. So, garment manufacturers make 2-3 samples on base size on receiving bulk fabric lot. Samples are processed as per bulk process (washing, drying). Shrinkage percentage are measured and recorded. The shrinkage percentage on length wise and width wise is incorporated to production patterns. To ensure that shrinkage are added to the production patterns, garment manufacturer make sample based on modified patterns and same processes followed if they get correct measurement after washing those sample. 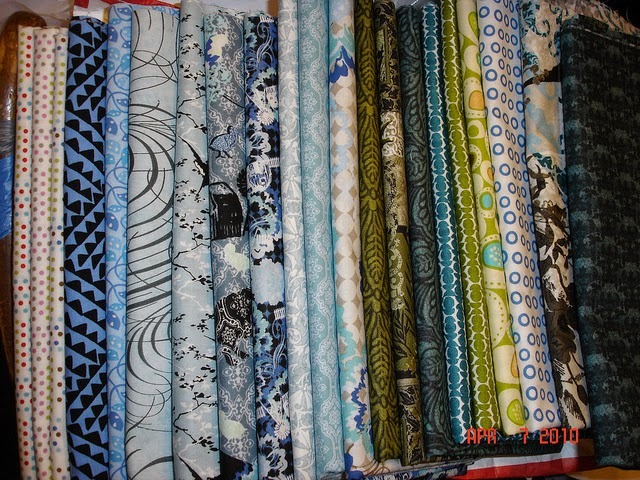 Factory may need to develop multiple patterns for same style based on variation ins shrinkage% in fabric lots. Garment manufacturers open the fabric roll and relax fabric overnight (e.g. for 12 hours). Fabrics are also relaxed for another 12 hours after layering on the cutting table. After relaxation process fabric is cut for production. This process is done even shrinkage is added to the pattern. In knits fabric shrinks and get twisted after washing. To preshrink the fabric and to improve dimensional stability of the knits fabric, fabric is cut into certain length and washed. This process is known as cut panel laundry. In CPL process fabric is completely preshrink and no need to change the base pattern prior to bulk cutting. Relaxation is nor needed for CPL fabrics. Why to measure fabric shrinkage? You could not expect that you will get fabric with zero shrinkage. So you have to take care of the fabric shrinkage through production processes to make garments of right fit. Whether you pack washed garments or garments without wash, you need to match garment measurements with specs. There is risk of having spec variation (out of measurement tolerance) in both cases if shrinkage is not taken care off. Shipment might be rejected buyer if measurement variation is found in the final inspection. Secondly fabric consumption (in grams) per garment will increase if shrinkage percentage increases. To source correct fabric volume (Kilograms, meters), you need o known average shrinkage percentages of the fabric in advance. Above methods are followed by most of garment manufacturers to minimize measurement variation in garments occurred due to fabric shrinkage. If you practice other method(s) to control fabric shrinkage, we like to know it. Fabric, the primary raw material for making garments cost about 60% or more of the total garment making cost. Fabric shrinkage must be controlled to reduce spec variation in garments.